We’ve always loved sketchbooks/notebooks at Design Instruct. Next to a pen or pencil, we think that the artist’s notebook is perhaps the most important tool on any creative’s desk. A sketchbook allows you to explore ideas and experiment with them. They allow you to just draw or write for fun; free from risk or anxieties or deadlines. They allow you to record thoughts, experiences, and just about anything you can think of. Notebooks are indeed some of the most valuable tools you can have as an artist. For those of you who are curious about what others do with their notebooks, we’ve collected a few sites devoted to showcasing some great sketchbook/notebook art. Enjoy! Moleskine notebooks enjoy a certain degree of ubiquity in the world of creatives and designers. They have such a devoted following that if you’re around enough creatives and artists, Moleskines can sometimes seem as though they are standard-issue. There’s no question that artists love these notebooks and a great place to see how artists are using them is myMoleskine where more than 11,000 pages from artist’s notebooks have been shared and showcased. Doodlers Anonymous is another great site that showcases great artwork done on notebooks. 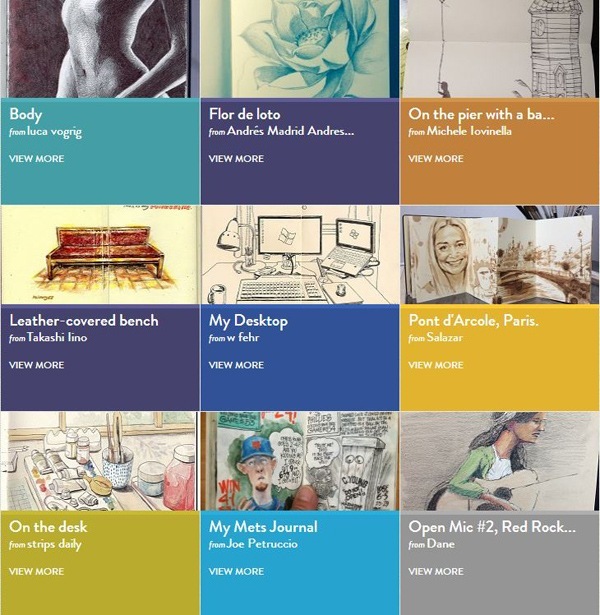 It is a blog dedicated to spontaneous drawing and sketching, featuring some really great submissions from all over the world. Again, Moleskine notebooks have a huge following and therefore, it’s no surprise that there will be lots of websites devoted to showcasing the work people create on them. Check out Moleskinerie for some really great work being done on notebooks. Their Flickr group is also worth a look. 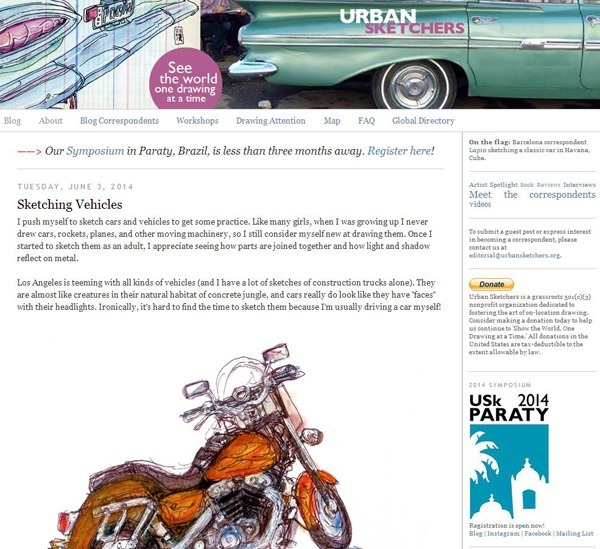 Urban Sketchers contains some really great work. They refer to their works as “location drawing.” The artists who share their work on Urban Sketchers draw what’s in front of them or their surroundings, and their drawings often serve as a record of a time and a place during their travels. The work that is featured on Urban Sketchers is just beautiful and offers a very interesting glimpse into this sub-section of sketchbook artists and illustrators. For more sketches, check out their Flickr group. 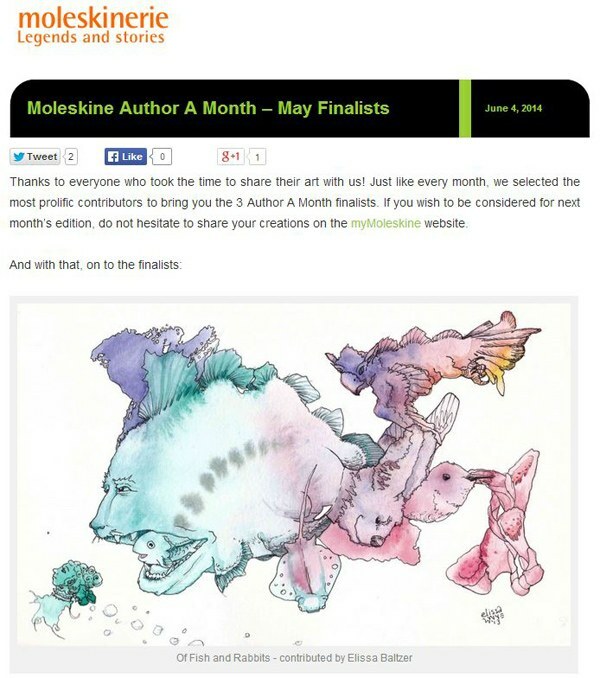 F*ck Yeah Moleskines is a Tumblr blog that accepts submissions from people who like to draw and sketch on their Moleskine notebooks. There are some serious gems to be seen here. It’s just great work done by people who love their notebooks. 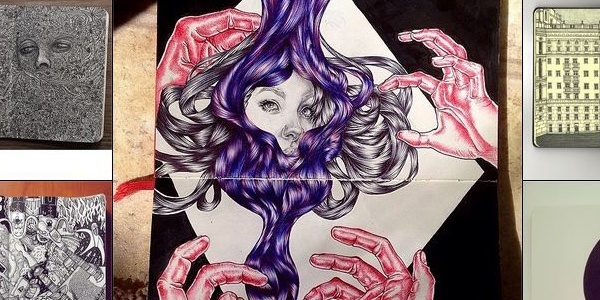 Sketchbookchaos may be an Instagram account but it is definitely worth following. There are some really amazing pieces being shared here. Of course, they’re all from sketchbooks. Sketchy Stories features the work of one of our favorite sketchbook artists. 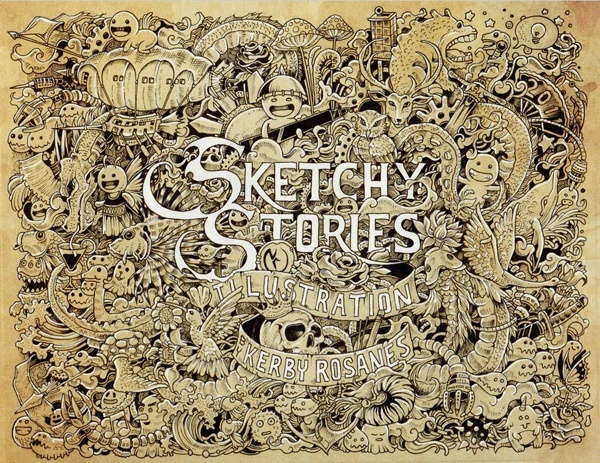 Kerby Rosanes started doodling just a couple of years ago and now he’s making album art for bands, getting commissioned by Nike, and just basically killing it as an artist. And to think it all started with just a few doodles in a notebook. Share your favorite sketch and doodle blogs with us in the comments sections below! Or share your own sketches with us on Twitter.